• Body Type. 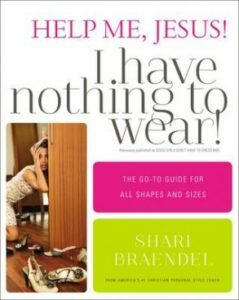 Shari will determine your body shape and give you 6 “specific-to-you” wardrobe guidelines to flatter your figure while hiding your challenge areas. • Signature Color Code. Shari will help you determine which 2-4 colors are best for your speaking wardrobe and business image (website, business cards, speaking one sheet, logo, etc). • Speaking Outfit Examples. Receive a PDF of the most flattering outfits for keynotes, retreats and breakout sessions. • Face Shape and Hair Consultation. Discover your face shape and learn what hairstyle, hair color and eye frames are most complimentary on you.The cost for this consultation is $29 and you can pay when you register. “I have struggled with self-rejection for as long as I can remember, but I really did come to know the Lord as “Redeemer” this weekend and I am so grateful.” Tina W.